Unless BlackBerry has a spot in your stock portfolio, you probably weren't aware that yesterday the company formerly known as Research In Motion held its annual meeting with investors. Technology being more your turf, we're sure that you are at the very least somewhat aware of BlackBerry's continued struggle to remain relevant. Unfortunately, the Canadian manufacturer just can't catch a break. Figures from the latest Kantar Worldpanel show a spectacular crash for BlackBerry in the US where its current market share is a depressing 0.7%. In fact, the company doesn't seem to be doing very well anywhere, really, with even the traditionally loyal U.K. customers rapidly dropping the legendary brand – a 7.3% drop from last year, down to 5.3%. The really bad part about all of this, though, is the fact that several BB-branded handsets have exited the production pipeline somewhat recently, and it will take the company some time to attempt a second charge. Despite Heins' refreshing frankness, we have got to wonder – how many shots does BlackBerry really has left? BB is too late, they should have release the BB10 before 2013. 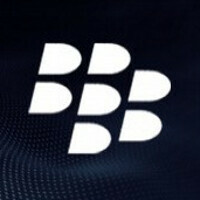 The only thing they need to do now is to focus on the BlackBerry Aristo (A10). Hope BB will be back in the competition. Keep it up, BB! They first need to reduce those prices on the Z10 and the Q10. Their biggest mistake I think was the pricing. The device was great but people found better handsets at the same price, so its obvious most of them didnt choose the z10. I concur its like the upper management failed to see the importance of pricing to tackle Apple an dthe likes of. Agreed. Pricing is their biggest failure. Here, the Q10 is priced the same as S4 and the Z10 is more expensive than Note II. It's ridiculous. Nokia+WP got it right with Pricing. Fail to deliver broad range of BB10 devices is another failure. Again WP+Nokia got it right. And now WP is taking over Blackberry as the no.3 mobile OS. Unless Blackberry does something truly groundbreaking, I just can't see them taking over the 3rd spot anytime soon. I'm sorry its a little too late, sorry Blackberry you had plenty of time to get your act together. Please get rid of Thorsten asap, poor leadership leads to another Nortel fiasco in Canada. As a Canadian this is upsetting to me to see Blackberry faulter to the wayside. I have stated it before and I will state it again. Blackberry should have taken the "Safety Pass" that Microsoft provided to Nokia. It's not too late because I doubt it very much the Canadian government will ever allow foreign ownership of Blackberry!! I can't help but agree with you as I've been said the same thing. BB could have built their own Enterprise hub on WP8 and solidify their standing in that segment of their business. They could have provided the same differentiation as does Nokia in terms of their apps offerings. Z10 is more expansive than S4 in India. It's like they want to go bankrupt. I hope they find a way to gain more market share and survive since I have a Z10. But the time could come where I have to switch just like I did when Symbian was no longer competitive. The thing that BlackBerry should do now: 1) Increase the number of apps available in the BlackBerry World ASAP. With more decent apps, people will be more convinced to buy BlackBerry phone. They got BB 10 right! (: Find myself enjoying using Q10 more than my Note 2, except the the games and apps part. Everything else is so much more organise than Android with BlackBerry Hub. 2) Lower the price!!! The price of Q10 is consider as quite steep in terms of specs and with competition from Samsung , HTC and Sony , most people (except executive and BB fans) will choose phone like HTC one, Z as its cheaper or just top up around SGD$60 more for S4. Thus lowering the price to maybe below HTC One or equivalent to Xperia Z will be a good option to gain market traction quickly. Z10 is a great phone, just the pricing , availability of apps and the over crowded market an issue. Its sad because there are many things I like about the new BB OS. I'm sure every company wants extra time to set the ship right. It might be too lil too late for BB tho.